With expert techniques that can improve sales and communication skills of everyone from Fortune 500 sales professionals to strip mall shoes salesmen, this guide teaches listeners how to recognize vital nonverbal clues, how to resolve the five most common customer concerns during the sales process, and even includes a homeowner's guide on how to effectively get rid of door-to-door salespeople. 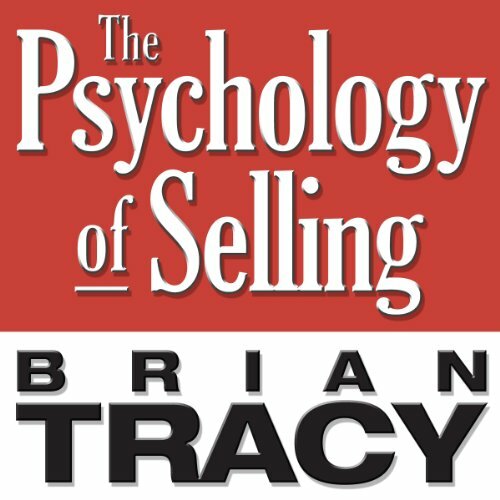 Tracy's classic audio program, The Psychology of Selling, is the best-selling sales training program in history and is now available in expanded and updated audiobook format for the first time. Salespeople will learn: "The inner game of selling" how to eliminate the fear of rejectionhow to build unshakeable self-confidence. Sales people, says Tracy, must learn to control their thoughts, feelings, and actions to make themselves more effective. From Publishers WeeklyWith his 300-odd video and audio courses (sales at one mil. ), and 30 books, Tracy has built a strong motivational sales and marketing brand. This latest installment shapes pop psychological constructs to fit Tracy's existing paradigms: "Your subconscious does not think or decide. It merely obeys your mental commands." Tell that to Dr. Freud, one might retort, but the point here is not fidelity to psychology theory, but efficacy in getting readers to change the way they bring themselves to a sale. Visualization techniques, concrete sales advice and motivational pep talks make up chapters like "The Inner Game of Selling" and "The Power of Suggestion." The "Getting More Appointments" chapter recapitulates sound but Willy Lohman-esque advice like "Sidestep the Excuse" or "Don't Be Put Off"; the book as a whole feels familiar, but it's clearly organized. Even in Tracy's generic prose, the repackaged tried-and-trues will find their marks. Good book. Take notes and apply the ideas into your own career. it works well. The performance killed it for me. What did you love best about The Psychology of Selling? There were some good tips. It was not 80/20 good, but there were still some things I wrote down. Who would you have cast as narrator instead of Brian Tracy? Someone that was not doing the recording in their home. I thought the person that did the narration was fine as far as they read, it is all the annoying distractions that I could hear, beeping, page turning that really killed it. It sounded like it was recorded at someones home and not like the other books I've bought from audible. There are a few time, and by a few I mean +15 times where it sounds like the start of the sentence was said from within a box and mid way through it he removed the box. There are also beeps or buzzes that you can hear throughout the recording. The most common sound to hear was paper being turned. I am assuming that this was the script that was being flipped. I have no idea why none of this was caught in editing and rerecorded. As for the actual story I did find some of it useful and do plan to implement it into what I do. If ever there was an update to the book I really hope they take out the several parts where it wants us to say things about how great we are. He tells us to do this at a minimum 4-5 different times. I do plan to listen to the book again to make sure my notes are complete, but I do not see this being a book I reread or listen to over and over like the 4 hour work week. This audiobook has so much great knowledge and practical tips. The audio is very low grade. I literally thing he recorded it with a webcam mic in his bathroom. You can hear him turning pages and you can here other people in the background, also you here when he over lays edits to the recording. The audio is so bad that it becomes comical. However, I feel like my mind for the selling world has been blown open and that I found a diamond in the rough. Must must read. This is a classic book with exceptionally well explained basics and techniques. Must read for everyone who deals with clients in any way. Not the most advanced, but definetly the best selling book I have read. Brian Tracy is like the god. Excellent material, as I own most of Tracy's material, as one of his highest admirers. Howe ver apparently this new version was mastered splicing in previous sections or for whatever reason the intermittent and repeated sections that sound like he is speaking in a barrel are extremely distracting to the otherwise excellent content. Hopefully it will be remedied, and i will periodically re-download copies in hopes that will eventually be the case. loved it. first two chapters is a lot of self help. the author does a great job repeating the ksot important principals and continuing to weave them into additional chapter. provides a framework for success in sales. top 10% baby! One of the best books in this matter. I have wholeheartedly recommended this book to every single person I know in sales. Not only is Brian Treacy a very good reader, everything he says makes the utmost sense. I have listened to this 4 times now and I don't intend to stop anytime soon. 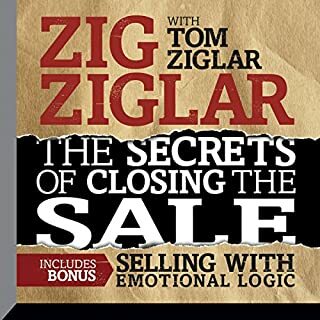 My sales and personal life have become so much greater after listening to this audio book. I feel it is my duty to write a good review as a personal thank you to this man for what has been a life changing endeavour and what I can only describe as a wake-up call for me personally. Thanks Brian! It made me realise my true potential, which is something that you cannot put a price on. This book is worth 1000 times the asking the price. Great book, sales tips still apply now. Only downside is Brian Tracey's voice often comes across as a bit tinny (bad recording). However the content is great. I’ve never understood the big deal with Brian Tracy - I find him lacking energy and any inspiration. I rarely find any of his material to offer profound insights - more a tapestry of recycled assumed truisms. 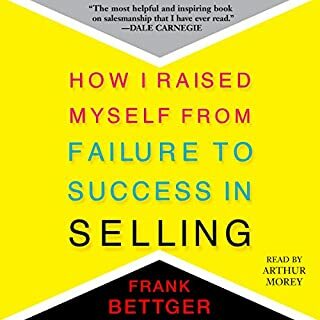 In spite of that, I thought I’d give this book a go on the basis that I might be wrong, I might be in the minority and because I’m particularly interested in the psychology of selling. 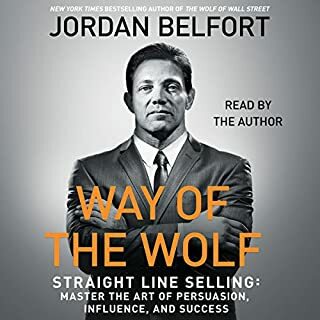 What I found was that even with my interest in the subject, a LOT of this book falls back on the tried and trusted principles that salespeople were drilled on in the 70s and 80s - “dress for success”, ‘“smile as you dial” and other similar mantras - oh and he prescribes mantras too. For me, too much of this material is a couple of decades behind the times. It assumes that buying and selling behaviour patterns are still as they were in a bygone era - when people had secretaries and everybody always answered the phone and agreed to meet with you if you call to make an appointment- all very civilised and conducive to a fertile selling landscape. Real life, with GDPR and companies with no internal telephones and with spam filters, just isn’t like this any more. So much of the material and advice in this book strikes me as solving problems that no longer exist in quite the way the book assumes. Having said that, it would be inaccurate to say the book is without value. 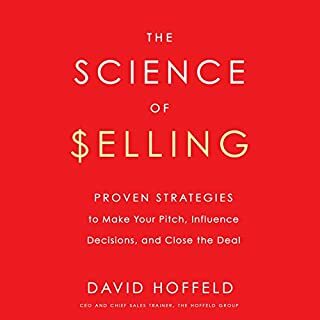 For a newbie salesperson just needing to learn the ropes, it’s a good foundation, just don’t stop your learning here - go on to read Pitch Anything by Oren Klaff, The Challenger Sale, and even Miller Herman’s Strategic Selling remains relevant. If you want to fast track this book, fast forward to the last chapter and listen to the summary, which is tried and tested, but solid advice. Follow that advice and you’ll probably do better than most in you field. The "GO TO" Info for All Sales Professionals! Would you listen to The Psychology of Selling again? Why? I listen to this regularly as it always offers a fresh angle when thinking about different sales and marketing challenges or opportunities, as it allows you to apply the thoughts you have to each situation in a practical way... if that makes sense!? Nothing.. You can't exactly call this a story! Brian Tracy always gets to the point. Unlike many narrators or "how-to" info providers, he tends not to waffle unnecessarily. He sometimes has anecdotes but they are always relevant and never particularly long-winded or self promoting. I have many of Brain's other programs on good old fashioned tape as well as audio book and he always delivers in a brisk but encouraging and engaging way. You couldn't take this info in, in one go. The whole point and value of this particular program is its longevity and real-world practical application. Whatever situation you find yourself trying to deal with and regardless of product, following the advice here allows you to look at each situation with fresh eyes and ears and use some of the principals and strategies involved. I should know - I first bought this in tape format in the '90s and it's as relevant now as it was then, hence me repurchasing again in a kinder format! If you are or want to be a Sales Professional, BUY THIS PROGRAM. Visit it many times whenever you need a fresh angle on a deal or just a kick in the pants to refocus and get motivated on whatever is on your plate right now. Once you get through the intro, you will then be able to look at all these approaches whenever you need to. You won't regret anything here - it's helped me selling for brands like Jaguar and Mercedes right up to multi-million pound boats and most importantly, selling "me"! Some very helpful advice and tasks but a lot is very dated - technology, communications, language, role & gender assumptions (particularly in the penultimate chapter... wonder who else noticed...). I've my own business so sales is part of my job. Worth the time, although it has taken me a while to work through. I've spent many years in sales and have plenty of experience. However, this audiobook is a mine of useful tips and information, delivered in a nicely accessible fashion. I learned a lot! I've used it to sharpen up a little, but have also listened to it repeated times, to brush up on something or even give me a bit of a mental boost when I'm in a slump. I put it on whilst driving to an appointment and find it get my thought process' into the right place every time. This may be an Interesting book, but the poor audio quality is a serious problem, as though it had been copied from tape. All you need to sell. Great book. 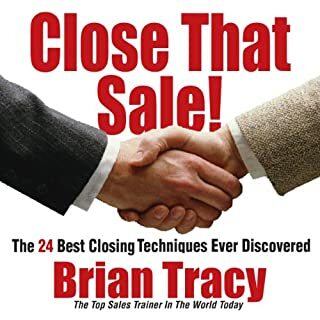 Listening to it again and again each time learning more about effective selling Brian Tracy explains the selling techniques in a very accessible straight forward way. I love his audio books. Brief, interesting and useful. Highly recommended. Useful, interesting and practical. It gives new ideas, tools and motivation. I would recommend to people who start a new business and wants to deal with sales mostly. Although a bit dated the information provided is still applicable to the current sales market. Interesting delivery. Good points and ideas about the topic. However The recording is not the highest of quality, at times it sounds quite echo. facts that are based on ones opinion. brian tells you alots of facts... well he acts as though they are fact. they are litterally based on his opionion only. crazy %ers of how much sales can increase after apply a tule of his... but there is no basis for these rules. do i agree with alot of what he was saying... yes. but by the end some of his points he was making were laughable. however i rehiterate... i do agree with a bunch of the stuff he states (defintely not all). however alot is simply based on positive psychology. worth a listen for those that are new to sales. AMAZING! Thank you Brian Tracy. 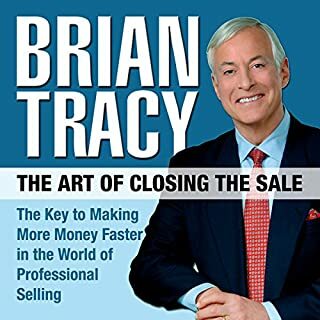 Another amazing Brian Tracy audio book. I highly recommend this to any sales professional that wants to earn big bucks from bonus and be the best in their field!